Bharat machinery works are dealing with manufacturing and export of legging knitting machines to various places across the globe. We offer multiple services, and our machines are known for their best quality among our clients. 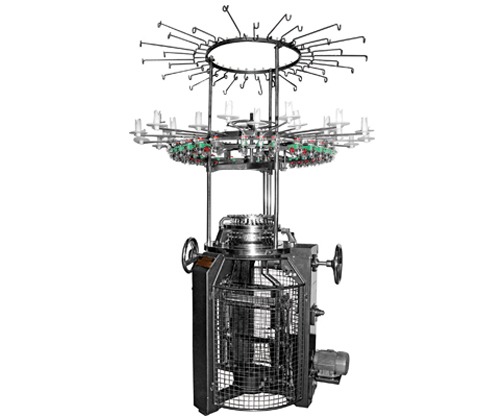 These machines are a type of single jersey circular knitting machines which are used for making a finer quality fabric of leggings. Different designs of leggings in various colours and different sizes can be manufactured easily by our legging knitting machines. We have been successfully able to meet the changing requirements of our customers. Our experienced, knowledgeable and strictly professional staff does not leave any stone unturned to satisfy consumer needs. Apart from 100% customer satisfaction which is being provided by our company, Bharat machinery works is also a renowned and a leading manufacturer and supplier of legging knitting machines.